Together make an hors d’ oeuvres tease. Your Christmas Eve will be a breeze! Preheat oven to 400 degrees. Place grapes and onions on foil-lined baking sheet. Pour olive oil and balsamic vinegar over onions grapes and sprinkle with salt and pepper. Mix and coat well. Roast mid-oven for about 1 hour, stirring every 20 minutes until done. The grapes should be mushy and the red onions caramelized. Let cool. Slice and toast a baguette or use a cracker. 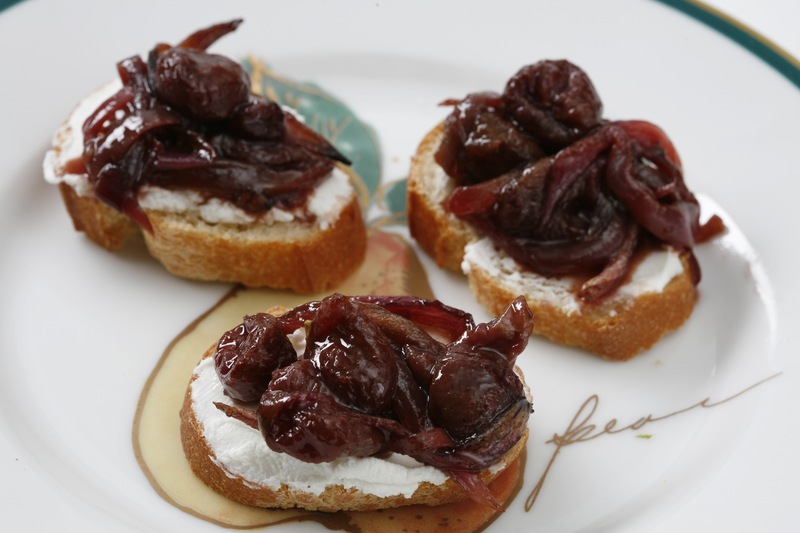 Slather with goat cheese and top with grape and onion mixture. Serve it up! Happy to be here! Thanks again. That is one excellent appetizer!